Need more Bayern players for your Official Fantasy Bundesliga side? Click here! FC Bayern München fans can have few complaints about life under Carlo Ancelotti, as the Bavarians gear up for their second UEFA Champions League outing of the season against Club Atlético de Madrid on Wednesday. They won the German Supercup for the first time since 2012, eased into the second round of the German Cup, thrashed Rostov in their Champions League opener – oh, and it’s also five wins out of five in the Bundesliga. A perfect start, then, although – in typically modest fashion – Ancelotti recently told the French media that much of Bayern's current success was down to his predecessor, Pep Guardiola. "The team was well set," he insisted. "There wasn’t a lot to change. Guardiola has done some very good work, I think. This team has a very good quality of possession, and good quality in its transmissions. It's not very difficult to coach this team, because they are used to playing in a certain way." Nevertheless, there are some aspects of Bayern's game that the 57-year-old intends to change, and he stressed that keeping hold of the ball isn’t the be-all and end-all. "With Bayern, I want to keep having good possession but also try to play more vertically. You have to make your possession count. I’d like to see more crosses from our full-backs. Guardiola preferred to have wingers – like Robben, Ribery, Coman or Douglas Costa – doing that. I want to use that type of player to cross, but also to get on the end of crosses. I want more players in the box." Ancelotti’s more direct approach is certainly paying off: Bayern have found the net 27 times in their eight games so far, conceding just a single goal against FC Ingolstadt 04. The Italian has also been particularly impressed with Franck Ribery. The Frenchman is undergoing something of a renaissance after an injury-hit 2015/16, with two goals and four assists in four Bundesliga outings. 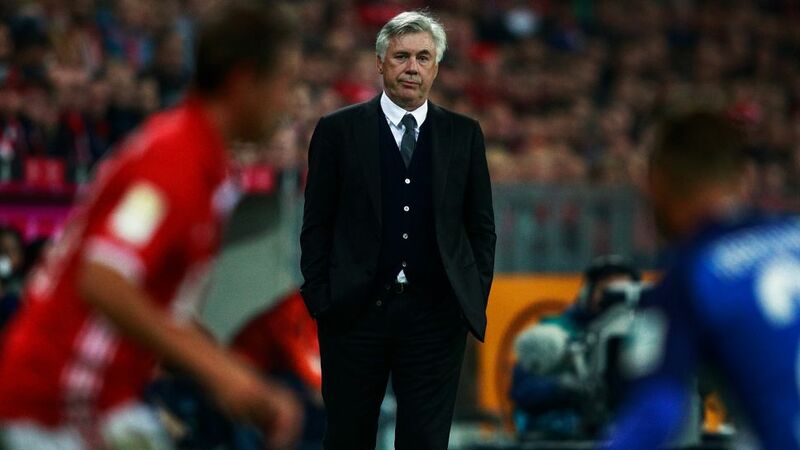 "Franck played very well against Hertha," said Ancelotti. "He also trained very well during pre-season. He was injured for a long time and I think that now he’s very motivated to get back to his best. We have a good relationship, we can joke together, but there will be days when I say to him, ‘you’re on the bench’. But then I add, ‘I have a lot of experience, which means I’ve left a lot of players on the bench – Zidane, Kaka, Del Piero. You can be part of that club.’"
Ancelotti will hope that Ribery can keep up his hot streak against Atlético this week, as Bayern look to get revenge for last year’s semi-final defeat on away goals to the Spanish side.